Are you looking for an enriching learningexperience for your child? Quality, competentchildcare? A schedule adaptable to your needs? Welcome to New Beginnings Preschool at Grace Lutheran Church of River Edge. 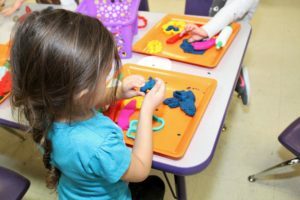 Conveniently located in central Bergen County, New Beginnings Preschool offers a structured learning environment in a caring, nurturing and secure setting. Learning is a life-long journey of the mind, heart and soul. At New Beginnings Preschool, our objective is the development of the whole child through academic challenges, social and behavioral skills and spiritual enrichment. New Beginnings Preschool brings peace of mind for busy families. Our flexible scheduling for half-day and full-day programs as well as extended hours of child care allow you to create the schedule that meets your needs. New Beginnings Preschool is part of the Grace LutheranChurch of River Edge family of outreach programs sharedwithits neighbors and the greater community. We incorporate Christian values and educationinto our daily activities and welcome children and families of all faiths. Come visit us anytime – and you’ll know you are home. 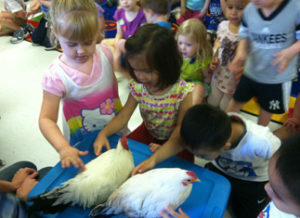 New Beginnings Preschool – where every day is a new adventure in learning!